This web of life hand-knotted Moroccan carpet contains a beautiful design. This is the best carpet if you want to decorate your home with calm and light color combinations. This is absolutely ideal for the modern home décor. 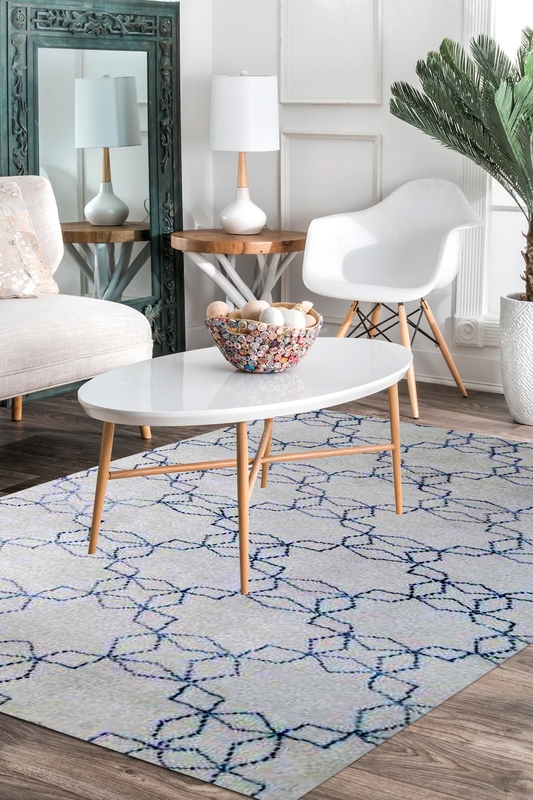 This Web of life carpet is woven in Moroccan style and this style is inspired in the 20th century home interior. Web of life wool carpet contains neutral colors of cream and blue, with cream as the primary background color. Crafted with 100% pure New Zealand wool and cotton material. This rug's versatile neutral palette softens any room it is placed into, while simultaneously adding a touch of flair to amplify existing decor. - Wool Warp- Cotton Back looks just like front due to the intricacy of craftsmanship and fineness.